The festival’s launch took place at the Charlestown Waterfront on June 17, 2016 with hundreds of patrons in attendance. The theme is “Celebrating the Old! Showcasing the New! Culturama 42!” and the patron is the Soul Survivors Band. “Culturama, ultimately, is what we make it and so, I ask you to come out and support everything that is happening. Have a good time. Have a fun time and with those few words, it gives me great pleasure to pronounce Culturama 42 officially launched. Now that’s your licence to have a good time,” he said. The official Culturama 42 activities will commence on July 21, 2016, with the grand opening of Culturama 42 at the Charlestown Waterfront from 5: 30 p.m. On Saturday July 23 the Empire Sports Club Aquatic Extravaganza will take place at the Charlestown Port from 10 a.m. Later that day the TDC Senior Kaiso Semi-Finals Contest will take place at the Cultural Complex from 8 p.m.
Mr. and Miss Talented Youth Pageant and Junior Kaiso Contest both take place on July 24 at the Cultural Complex from 7 p.m.
On July 25, Poets in the Square commences from midday at the War Memorial in Charlestown. 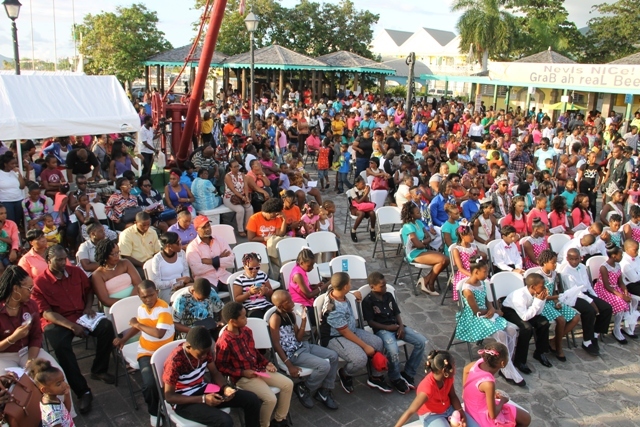 Later that day the Nevis Cultural Development Foundation’s (NCDF) Masquerade and Steelpan Competition will take place from 7 p.m. at the Grell-Hull Stevens Netball Complex. The following day on July 26, will be Poets in the Square from midday at the War Memorial in Charlestown. Later that day from 8 p.m. will be the Ms. Culture Swimsuit nd Mr. Kool Competitions at the Cultural Complex. There will be another session of Poets in the Square on July 28, from midday at the War Memorial in Charlestown. 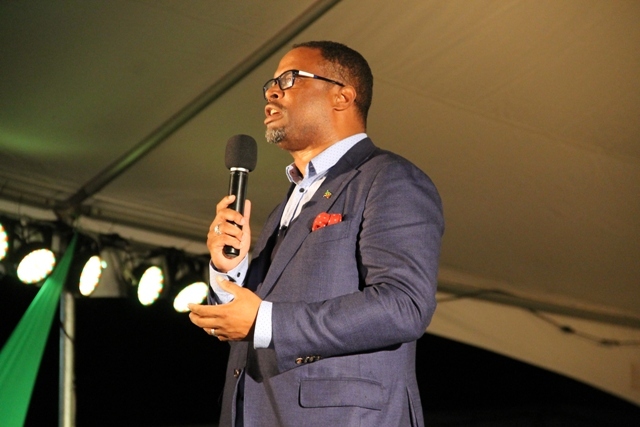 On the same day, there will be the Groovy and Power Soca Monarch Finals at the Cultural Complex from 8 p.m.
On July 29, the Department of Agriculture’s Fruit Festival will take place from 9 a.m. at the DR Walwyn Plaza in Charlestown and at midday will be another session of Poets in the Square at the War Memorial. The TDC Senior Kaiso Contest will be held from 8 p.m. on the same day, at the Cultural Complex. The Culturama 42 Cultural Food Art and Craft Fair will take place on July 30, at Pinney’s Park from 10 a.m. while the FLOW Miss Caribbean Culture Swimsuit Contest takes place later that day from 8 p.m. at the Lime Beach Bar. 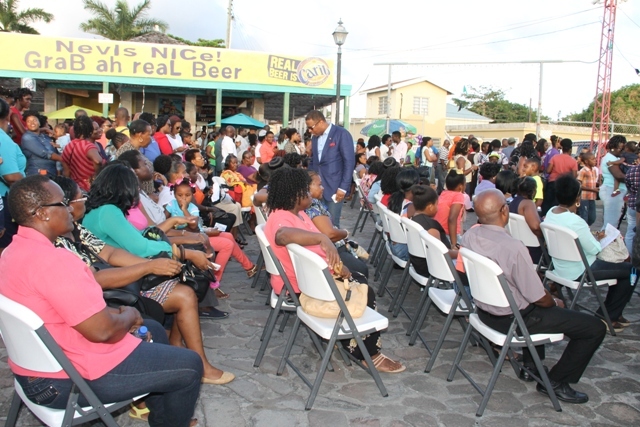 The NCDF’s Musical Cornucopia takes place at 8 p.m. at the Nevis Performing Arts Centre (NEPAC). On July 31, the S. L. Horsford’s Miss Culture Queen Pageant will take place from 8 p.m. at the Cultural Complex. Four events are scheduled for August 01 commencing with the Emancipation J’ouvert Jump Up from 5 a.m. from Gingerland to Charlestown. The Herbert’s Beach Affair will commence from 1 p.m. at Herbert’s Beach. The FLOW Miss Caribbean Culture Queen Pageant takes place at the Cultural Complex from 8 p.m. and the King of the Turntables Culturama DJ Competition takes place from 11 p.m. at the Cultural Village. On August 02 will be the Culturama 42 Street Parade, on Stage Display and Last Lap which will begin around Charlestown from 12 noon. The final event that will herald the end of the festival which will be the Culturama 42 Prize Giving Closing Ceremony at the Cultural Village from 8 p.m.